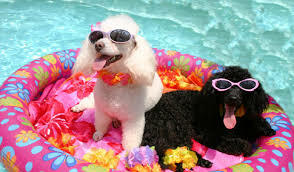 Hardwick Veterinary - HAVE FUN WITH YOUR DOG THIS SUMMER! There are a number of events happening all around Vermont that would be fun for you and your dog. Getting out with your dog is a great way to keep him or her socialized and mentally stimulated. Here are some dog friendly events to check out this summer/fall. The Festival of Fidos is at the Basin Harbor Club in Vergennes. It’s the Bernese Mountain Dog BBQ at Dog Mountain. All are welcome! Vermont Dog Boarding & Behavior in Hyde Park is hosting a Celebration of Dogs from 12-3. There will be Disc Dogs, training tips, a walk, and all kinds of fun. Dog Mountain is hosting the New Leash on Life Party. Numerous shelters will be there. Check out the great dogs up for adoption. The Vermont Dog Festival is Enosburg Falls from 10-5. There will be demonstrations, contests, and fun for the whole family. The Halloween Dog Walk and BBQ is at the Barre Falls Dam from 10:30-3 for Sweetpea Friends of Rutland Animals. Although most venues have shade and water available it is always a good idea to travel with plenty of water in the warm months.